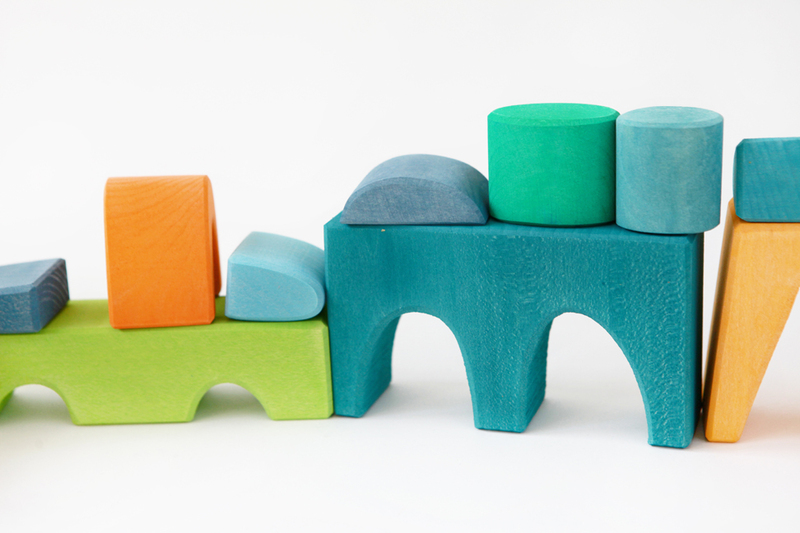 On first seeing the Grimms' It Makes a Village Blocks, I was struck by their beautifully brilliant colors and fantastic shapes. 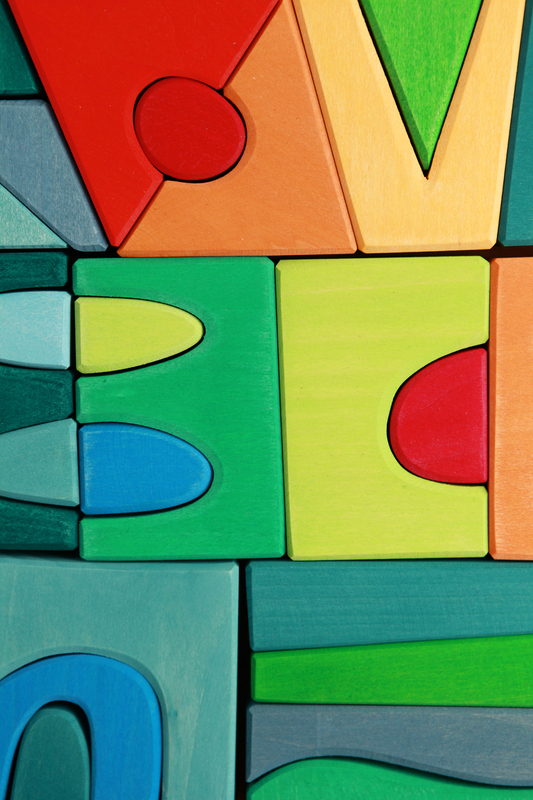 These intriguing blocks look inspired by nature and organic in form, which makes them unique among block sets. 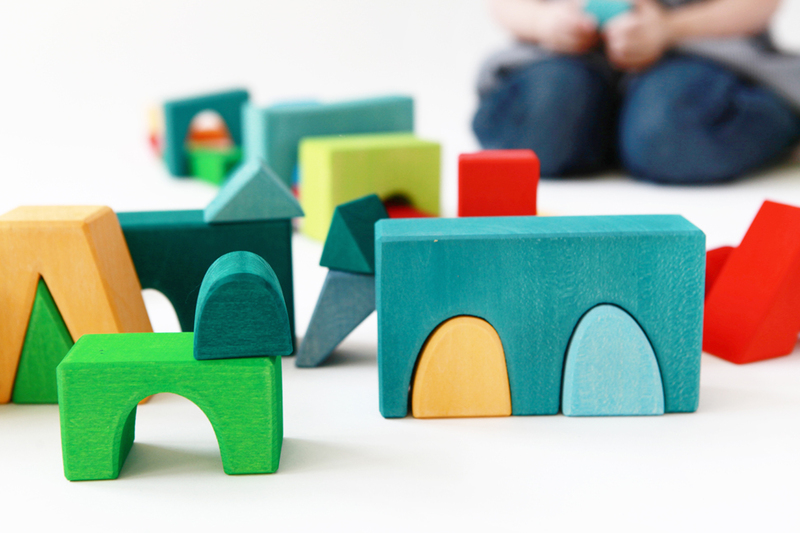 Because the blocks are carefully crafted and hand-sanded, we look forward to them lasting throughout the years. 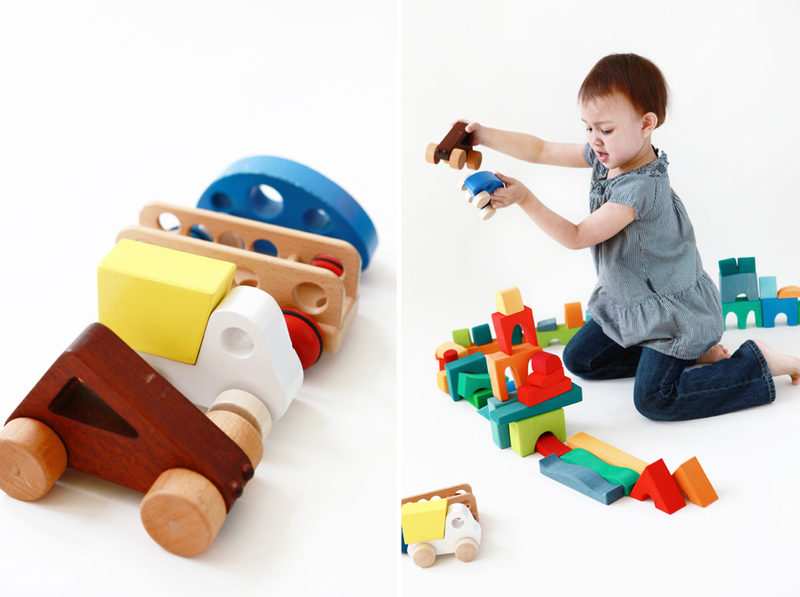 The first time Avery laid her hands on the blocks, she built a race track for what turned out to be an epic flying car race. 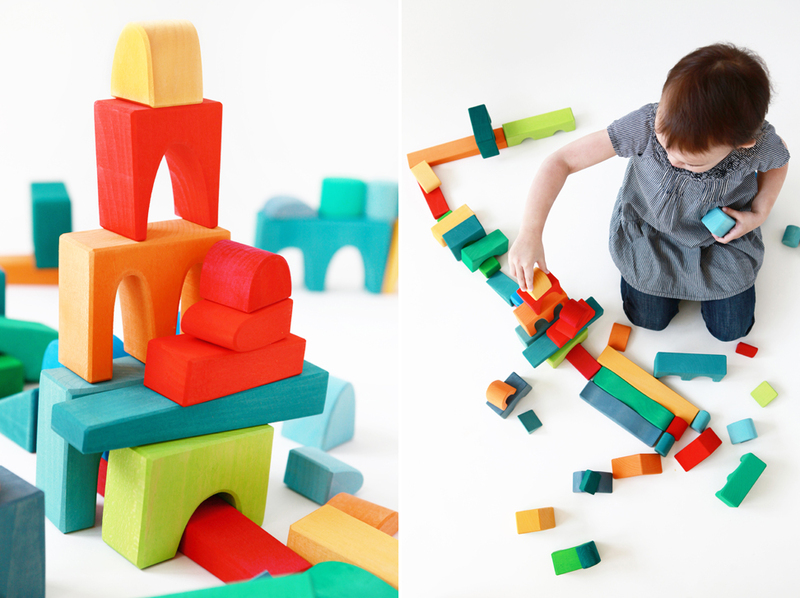 We look forward to building, imagining and creating with this amazing set of blocks again and again. 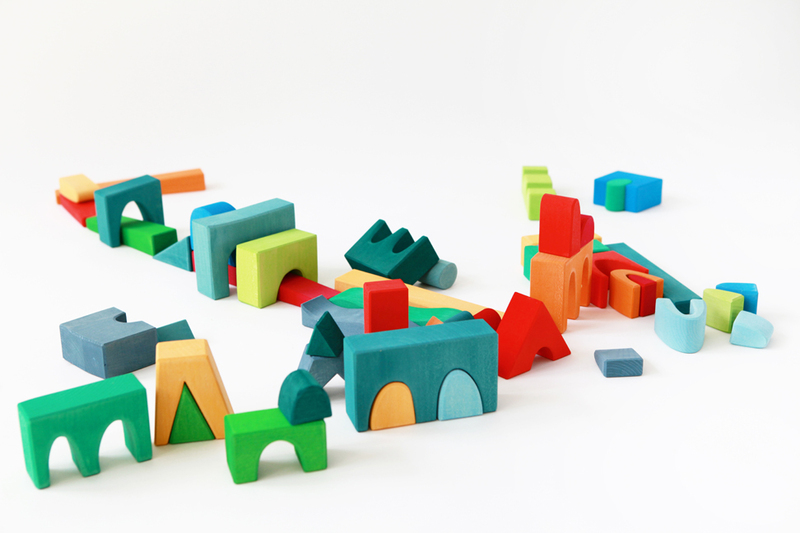 Thanks to Land of Nod for sending us this wonderful block set to try out.